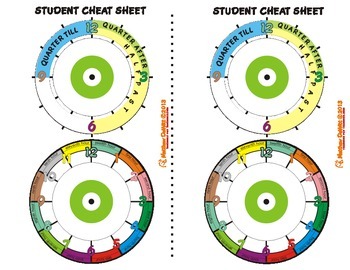 There are a lot of clock face sheets out therefor teachers, but this one is specially designed for students that are having difficulty mastering quarter after, half past, and quarter till concepts. 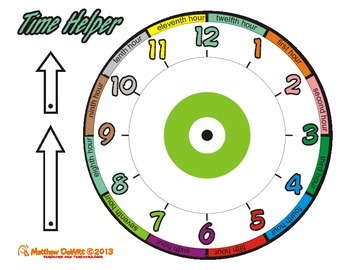 The Clock Helper packet coor over lays on the clock face so students can learn to develop where on the clock the minute hand must be for each (time quartering concept). 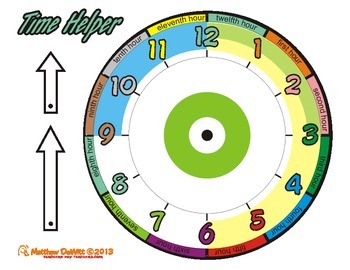 In addition, these worksheets also include color coded hours that have wedges that correspond to each hour. Often times when that hour hand gets close to the next hour, students will write down the incorrect time. That's because in heads they are going with the hour that is closest to the actual hour hand on the clock face. 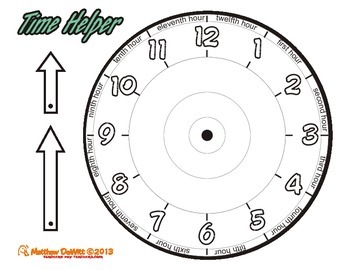 These worksheets target that common misconception and allow students to see exactly where the 4 o'clock hour ends, and where the five o'clock hour begins. The packet has completed colored examples and also blank versions for students to color in for themselves in class. The packet also comes with a student cheat sheet for students to keep at their desks to help them reinforce the worksheet idea.